Courtesy of the NIKEiD PE Program, Kevin Durant debuted a new colorway of the KD 6 in tonight's game against the Houston Rockets. 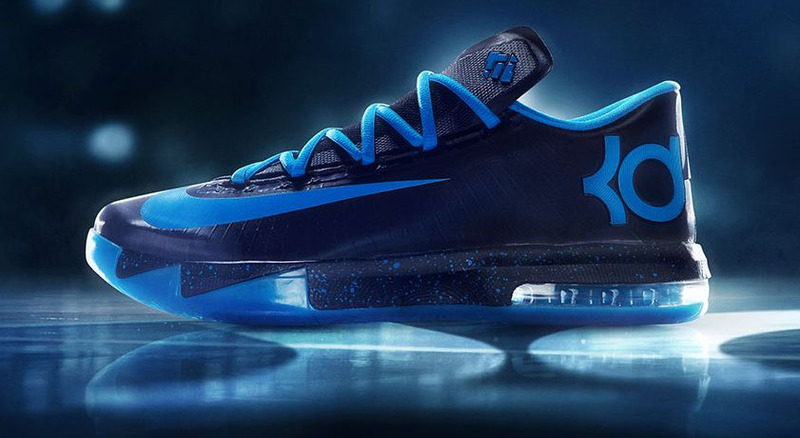 The shoe features a black and blue chroma upper, a speckled midsole and blue hero accents throughout. You can order the same pair for $180 at nikeid.com.